The Himalayan Kingdom-Bhutan is a small yet wonderful country that is nestled between India and Tibet. A stunning natural scenery and the strong sense of culture and tradition of Bhutan makes it one of the best holiday destinations in the world that will leave you rejuvenated and relaxed while exploring its pristine environment and harmonious society. You will enjoy hospitality at its best in the tiny Kingdom of Bhutan that is also known as “The Last Shangri-La”. The best thing about Bhutan is that you can visit the Himalayan Kingdom at any time of the year. Bhutan’s warm and temperate climate , abundant heritage sites, never ending festivals help visitors to enjoy a wide array of experiences throughout the year, which attracts a huge number of tourists from all around the world. It can be said that Bhutan has all four seasons, but the climate depends on the altitude. The spring season in Bhutan is considered to be the most beautiful time of the year, when the country is ablaze with a spectacular array of bright colors. This is believed to be the right time when the valleys will appear in an exotic and fresh green color, experience fresh vegetation and blossoming fruit trees. In the spring season, people of Bhutan or the locals are naturally found to be mirthful and indulge in celebrations. Visiting Bhutan at this time will help you witness the famous Paro Tsechu Festival. You will experience lovely, clear and crisp blue skies and enjoy a grand view of some of the tallest mountains in the world, by visiting Bhutan in autumn. The autumn season is considered to be the best time to enjoy an exhilarating trekking and wonderful travelling in Bhutan that will offer you some lovely photography opportunities. 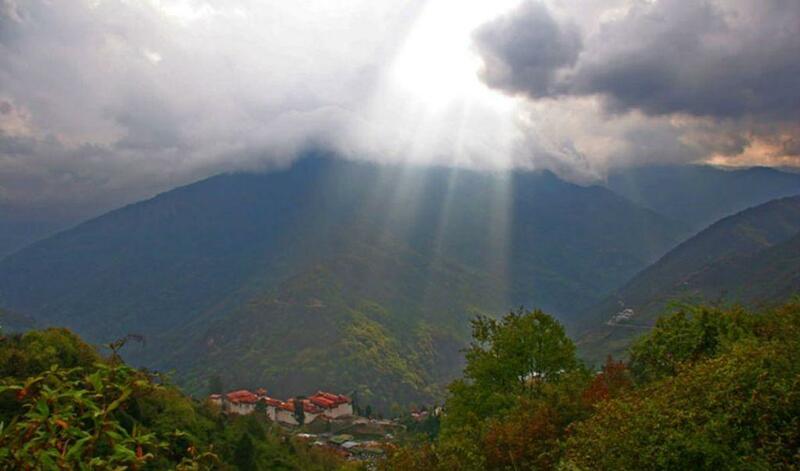 It is true that during this time of the year, Bhutan receives more rainfall, which offers a glorious sapphire sky and a warm weather that makes it pleasant for your tour experience. You will simply love to enjoy a cup of warm and aromatic tea while watching the rainfall with your beloved from your hotel window. To know more about the weather forecast of Bhutan, please check out Bhutan-Weather.com. For booking a customized Bhutan tour and travel package, please contact the Bhutan Buddha Travellers. We are one of the trustworthy and highly experience tour operators that always strive to offer a dedicated service to make your Bhutan holiday a memorable one. Whether you want to book a Bhutan festival tour package, Bhutan trekking package, Bhutan sightseeing attractions package, we will provide well planned and personalized travel itineraries that will enhance your travel experience. Contact us today via sending an email to info@bhutanbuddhatravellers.com.